Along with the resonant introduction of iOS 6, Apple has announced the FaceTime service, now working over cellular networks as well as Wi-Fi. Available only for those running their devices on the latest iOS, the feature allows users to make and receive FaceTime calls almost in every country via iPhone 4 or later, or iPad 2 or later. Majority of iDevice owners got excited about the feature, but it is not available, just like Siri augmentations and 3D Maps. Believe it or not, FaceTime over Cellular –like tweak has been available in Cydia for just $1.99 from the BigBoss repo. Dubbed as FaceBreak, it lets users make FaceTime calls over 3G. The only drawback is that the picture quality is not as high as the one provided by Apple, but let’s agree that it is still better to make lower quality calls, than being unavailable to make calls at all. However, please note that carrier data charges may apply. As for the Apple’s default browser Safari, the augmentations include full-screen mode and the ability to upload photos directly from the browser. Good news is that both options are obtainable from BigBoss Repo. The ability to allow full-screen Safari mode is another one of Cydia’s famous $1.99 tweaks. FullScreen For Safari lets you view webpages without the intrusive bar at the bottom and enables you to make the best use of .5” Retina display. Surprisingly, this tweak is even considered to be better than the official iOS 6 feature, as it enables full screen in not just landscape orientation but also portrait mode! 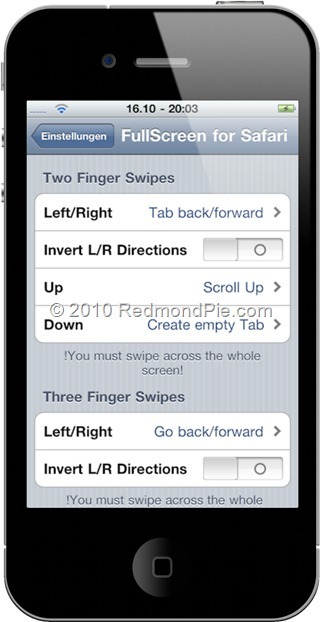 The same tweak also brings OS X-like multi-touch gestures for Safari, so it definitely seems to be a great deal. You can smarten your Safari browser even further via Safari Upload Enabler, also available from BigBoss repo for $1.99, letting users to choose a photo/video using a file browser like on a desktop PC. However, you won’t get the elegant design as it is in case of Apple’s feature on iOS 6. 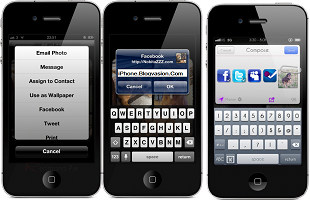 One of the most expected and a convenient feature of iOS 6 is the Facebook Integration, which is also available for you thanks to the jailbreak community. For just $2 you’re able to get not only the Facebook integration, but MySpace and Foursquare as well. So just like on Twitter, you can share photos, links and more with these three social networks as well. This tweak called Fusion even allows you to update your status on these networks with the Siri integration. What we all have been yearning for a long time now is the ability to upload a photo to Facebook using native Photos app. This has also been made available by the jailbreak community with a tweak called FacebookThis! The feature is free to get free from the BigBoss repo and lets you upload images directly from the native Photos app! These tweaks will definitely help you satisfy your needs, at least before the iOS 6 gets actually available for the end users. Again, stay tuned, we’ll cover even more ways of getting the top iOS 6 features on your iOS 5 devices!